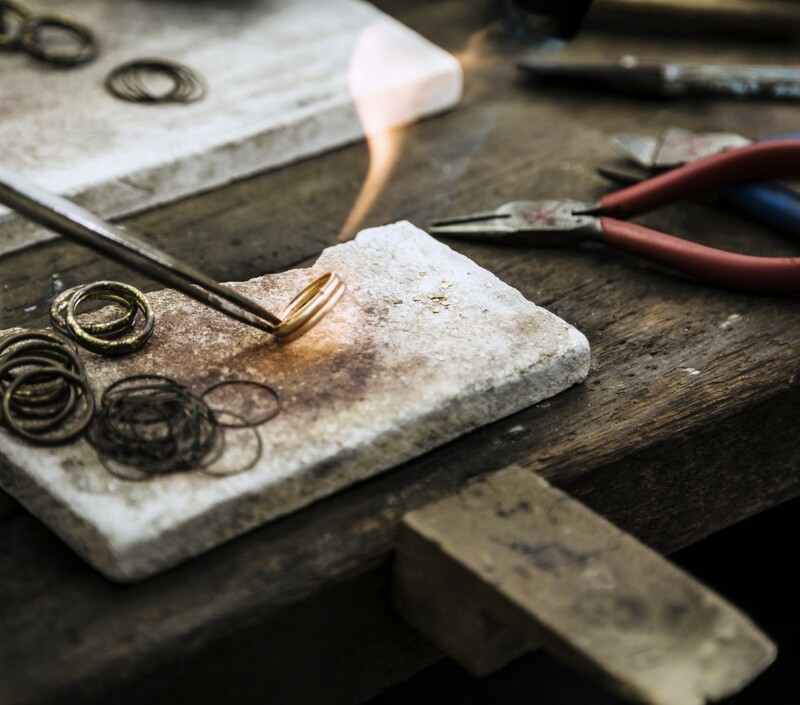 Our jewellery designer here at Ayana Jewellery also offers jewellery repairs, redesigns and all those small things in-between! If you have old jewellery sitting tangled in your jewellery box, dig it out and give it a new lease of life! So many people are throwing away old silver jewellery because it’s tarnished and looks tired. These pieces can be brought back to life with a clean and a polish. You will have a “new” piece of jewellery in no time. Lauren loves the challenge of redesigning older pieces. So if you have Grandma’s pearls, or long strands of beads – contact Lauren and she can help you make them into something you can wear every day. Lauren is a qualified jeweller with 10 years experience. Lauren was trained in silversmithing in Auckland, New Zealand. With a vast range of silversmithing techniques, Lauren also has skills in bead stringing, design and repair. Contact us here to have a chat about your repairs and redesigns! This entry was posted by Lauren Batten in In The Studio and tagged jewellery, pearl, redesign, repair, repairs, restring, skills.